Labyrinth opened in the US on June 27th, 1986. It would be almost six months before the film appeared in theaters across the Atlantic. 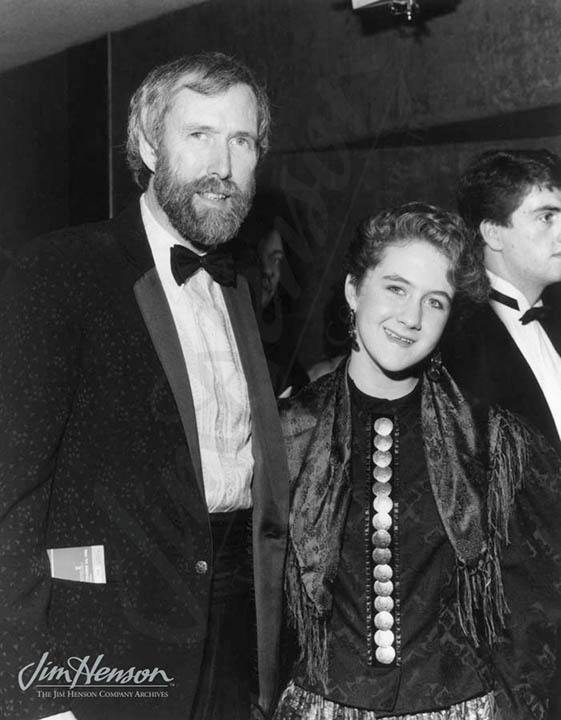 After some production work and development on IN-TV, the precursor to what would become The Jim Henson Hour, Jim headed to Germany in late November to promote the release of Labyrinth. As was often the case, Jim traveled with one of his five children, in this case the youngest, the almost-sixteen-year-old Heather. After press appearances there, they headed to London for the royal premiere. By the week before Christmas, they were back at home, and the family headed up to Stratton Mountain in Vermont for a few days of skiing. Jim and Heather Henson, 1980s. This entry was posted in 11-November '86, 1986, Labyrinth and tagged Germany, Heather Henson, IN-TV, London, Stratton Mountain, The Jim Henson Hour, Vermont. Bookmark the permalink.